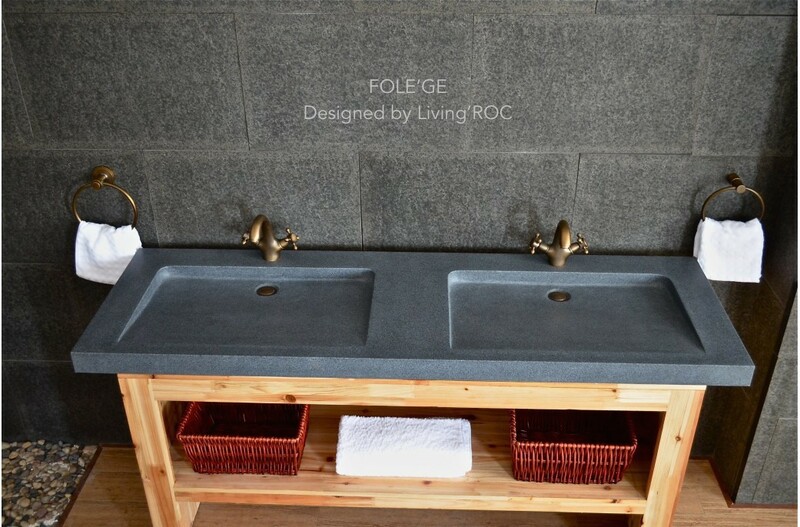 Livingroc has taken a simple granite rock and transformed it into a piece of art to help add style and functionality to your bathroom. 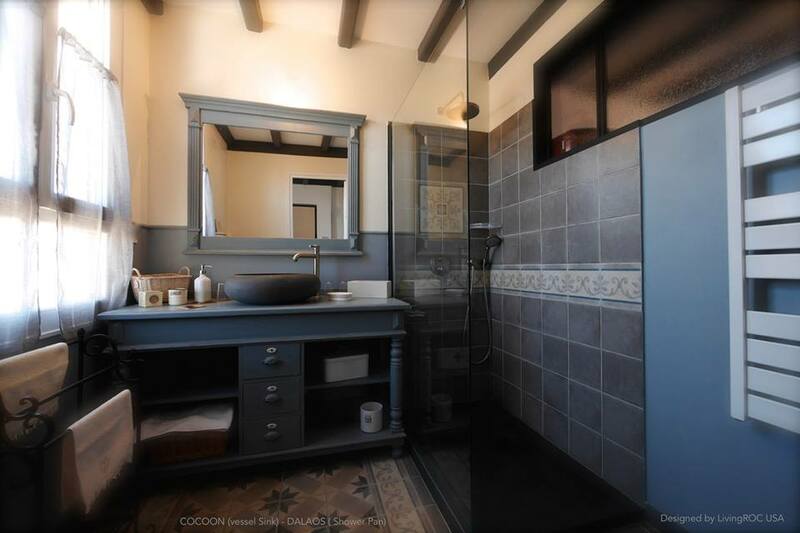 Give your space a high-end, luxurious look by placing two natural black Shanxi granite to your bathroom. Our TORRENCE SHADOW will look just stunning side by side. At a size of 24''x16'' this is a perfect size to place in your space. FOLEGE trough sink in a generous 63'' can come in either with or without faucet holes. 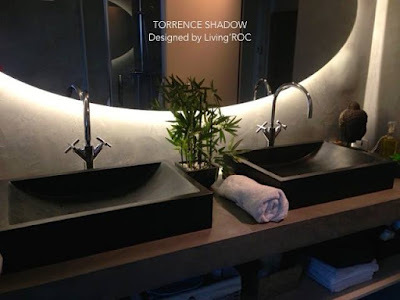 Add great value to your home by installing this Livingroc creation. Our stone our created by a group of talented masons that hand carve granite into a beautiful masterpiece. To complete your bathroom into a spa like environment add a majestic shower base that will combine very well with our vessel sinks. 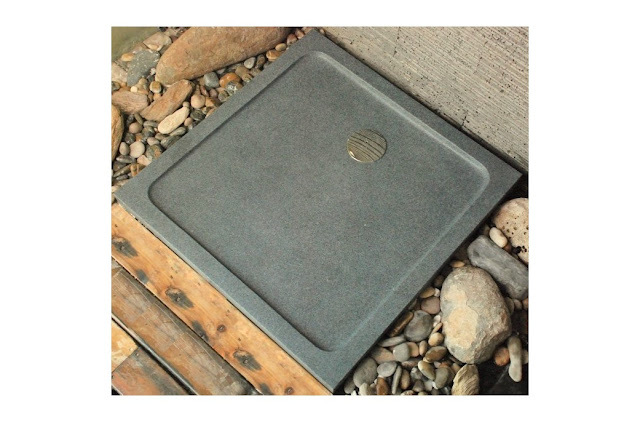 QUASAR is our gray granite bathroom shower base. With many options of sizes you are sure to find an appropriate size for your space. This large piece of stone is cut from a block of granite is preformed to create an effective water slope to drain giving you a modern sleek look. Carved from a genuine trendy pure black Shanxi black granite, we showcase our PALAOS SHADOW. Could you imagine installing such a beautiful shower base? We put the extra into Extraordinary by using such nobel material. We also take good care of your comfort and security ensuring reliable, non slip products. 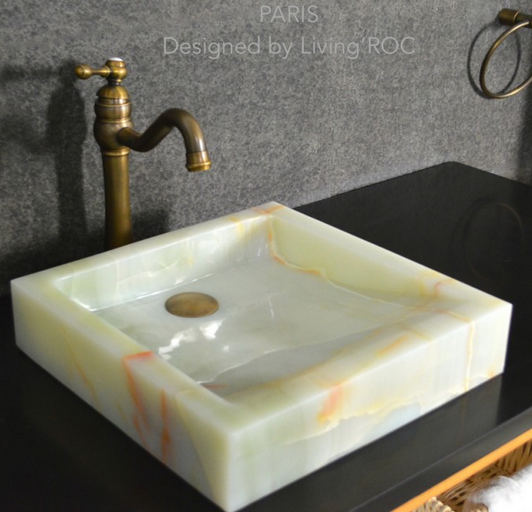 LIVINGROC would like to invite you into our world of spectacular trendy natural stone products. Please visit our site to see what natural stone can do for you. After reading your blog i come to know that this blog has relly helped people,and contains lots of information regarding Stone Bathroom Basins and many other service.